This morning, when I got back from spinning, look what was in front of my door! Last week, I won a giveaway at The Actor’s Diet and it arrived today!! 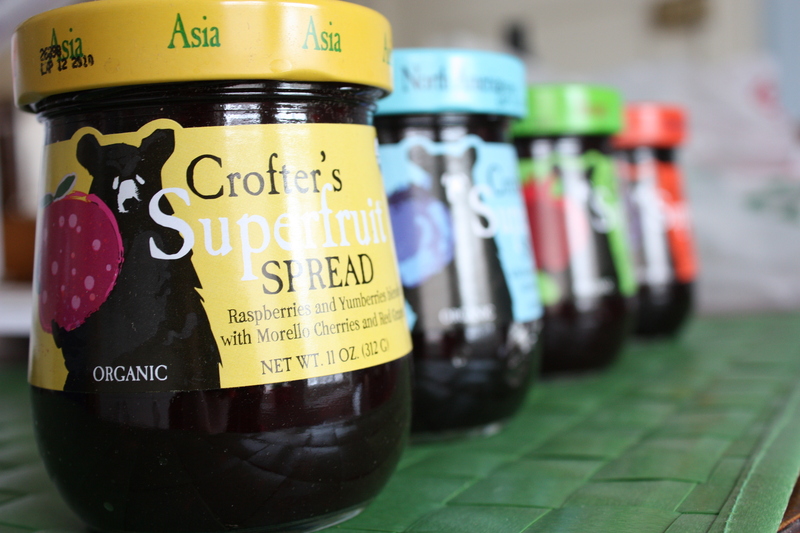 I got 4 jars of Crofter’s Super Fruit Spread! Of course, I had to try one, so along with my salad for lunch (I’ll spare you the picture of that), I had a piece of toast with some of this deliciousness on it! I tried the Europe flavor (Pomegranates and black currants blended with red grapes and morello cherries). Not gonna lie, it’s pretty tasty. I loved how tart and sweet this was all together. Definitely recommend it. I can’t wait to try the other flavors, but I’m going to try to work my way through one at a time. Sadly, one of the North America jar was cracked so I won’t be trying that one. I’m deathly afraid of glass shards! Oh well! The other two I have left to try I’m sure will be amazing! Today is a study day! I need to get as much done as possible this weekend since the lovely fella will be here on Wednesday! I’m even missing Ithaca’s Chili Fest! Oh well, I’ll survive! I love the little jars– so cute! 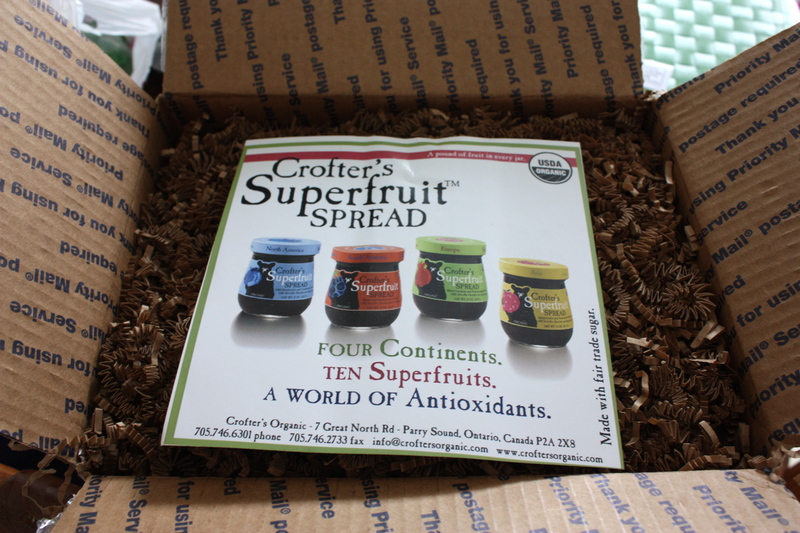 I tried their super fruit spread the other day, and it was mighty tasty! Dang I am totally jealous! I have been dying to try their fruit spreads! Their jars are just too cute! Bummer that one was broken. I totally wouldn’t eat it either. Awesome win! They look tasty and cute. 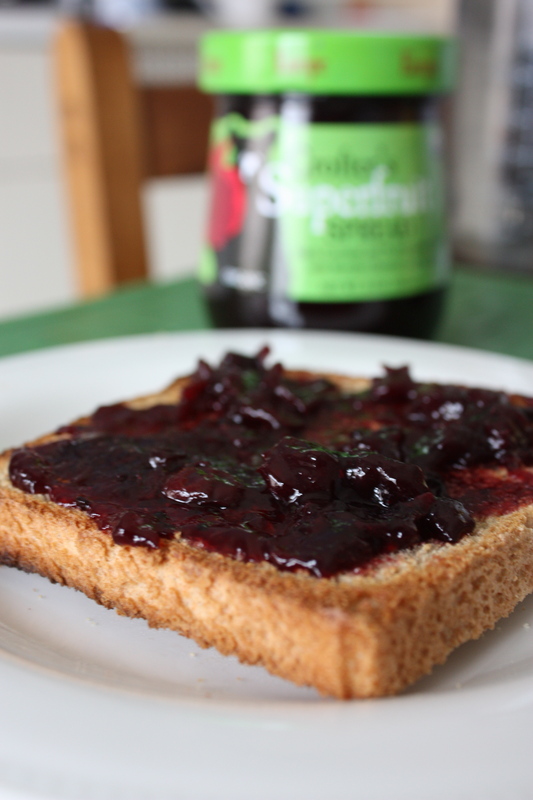 🙂 I see a lot of people using jams in savory dishes, nothing beats sweet AND savory! Sweet prize!Pomegranates and black currants blended with red grapes and morello cherries… OH MY!! So sweet you won that!!! I have heard so many great things about that Jelly!! I might have to buy a jar, I saw it at Whole Foods!!! Now the question would be what flavor I should get! those look GREAT girlfrand!!! i love jelly, especially w. cottage cheese!